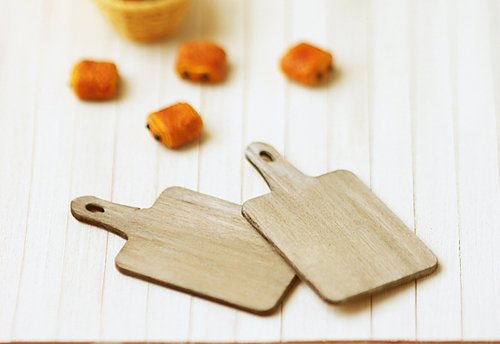 Dollhouse Miniature Accessories - Antique Bread Cutting Boards in 1/12 dollhouse miniature scale. 2 beautiful antique looking bread cutting boards for 1/12 dollhouse miniature scale breads. A wonderful addition to decorate your dollhouse miniature cake shop, bakery, kitchen scene! See last photo for ideas. 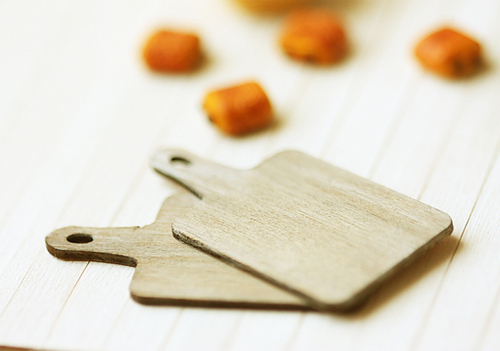 Each board measures approximately 4.6cm long by 2.5cm wide. If you need more than 2 pieces, please contact me! If you like them in other colors, please let me know! This size is perfect for the Lati Yellow Dolls and Pukifee dolls.